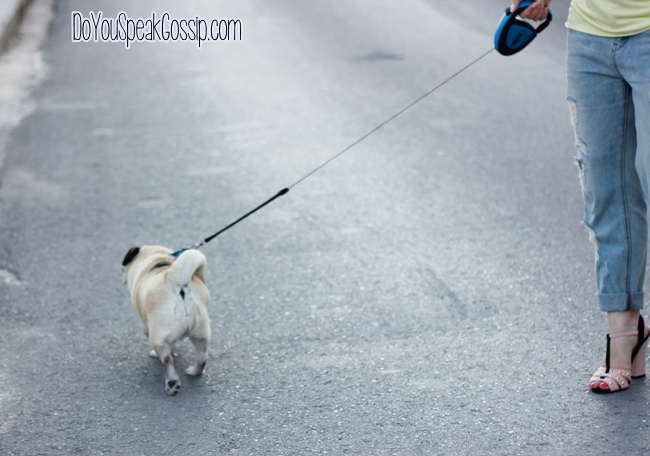 Walking my dog in style | Outfits - Do You Speak Gossip?Do You Speak Gossip? Those of you who follow me on social networks might have already seen that my dog, Mae came home again last Wednesday. She is our family dog, and she is with us since 2004 when we “adopted” her. She was living with us for many years, but my brother took her with him, when he moved out. For years she shared her time between our house, and my brother’s, but for the last couple of years she was living with my brother’s in-laws who also love her very much. Due to some events we weren’t able to have her here sooner, but I’m just happy to have her with me now…She’s almost 10 years old, so we can’t take her for long walks any more, but a small walk near our house was ok, so me and T. took the opportunity to walk her and take some outfit photos all at once. Two birds with one stone! Do you like us? If I like you two? But of couuuurse, and I am sure everybody will! 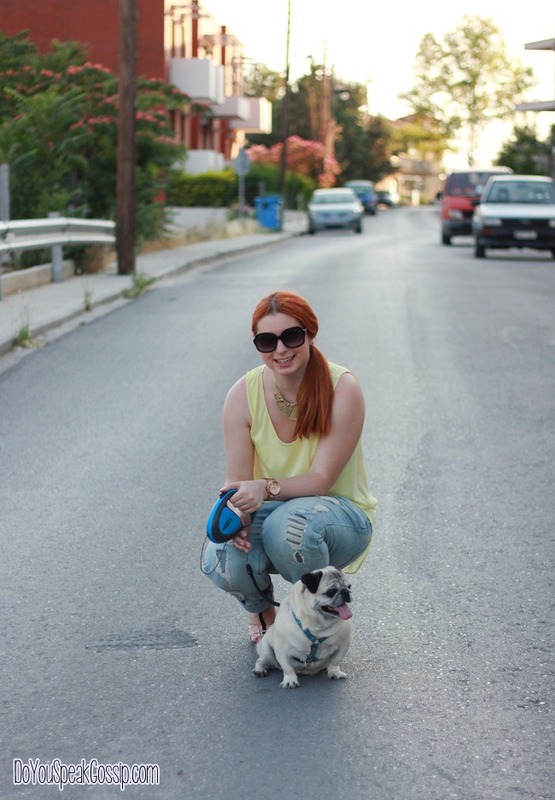 You look so sweet, I loved the shoes, the jeans and necklace 🙂 Your dog is adorable, I am so glad you photographed her for the blog! She is even sweeter than what I have thought! Makia! και το μεικαπ ειναι πολυ ωραιο! An.ni recently posted..My beach outfit! Vasika den foraw make up…einai i Garnier BB Cream gia miktes kai lipares epidermides…. You know to be soo elegant and chic! Loving this look. Thank you very much Marta! Have a great week. Δεν ήξερα ότι είχες σκυλάκι!!! Είναι μία κούκλα!Φαντάζομαι την χαρά τώρα που κατάφερες να την έχεις και πάλι στο σπίτι σου! Όσο για το λουκ σου, τέλειο! 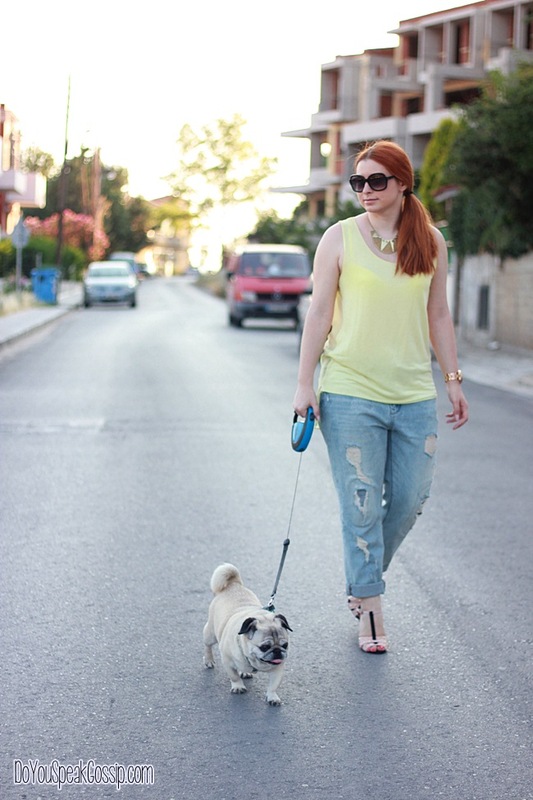 Αγαπημένο casual chic για όλες τις ώρες! Exw, alla pleon den tin vlepw oso sixna tha ithela….parolo pou einai kai diko mou skili, o aderfos mou einai autos pou kanei koumanto, opote den mou tin eixe ferei pio prin…Ontws xarika para poli giati eixe peripou 2 xronia na erthei epitelous spiti tis… S’euxaristw poli gia ola sou ta sxolia! Πολυ χαιρομαι που εχεις τη μικρη σου πισω, ειστε γλυκες!! Εγω δε θα μπορουσα να παω ετσι βολτα τη δικια μου, θα ειχα πεσει με τα τακουνια, χαχα!! xixi den einai toso psila…Exoun xontro takouni kai den aisthanesai oti tha peseis…einai poli stathera…Eixa etoimastei etsi kai alliws gia na vgw kai apla tin pigame kai mia voltoula na xarei prin figw…alliws fisika kai ti vgazw me flat. ti glyko skylaki! k m aresei poly i mplouza su k to boyfriend jeans 🙂 – toso kalokairino! christina recently posted..dots and tartans by the sea. pugs are not the prettiest but i find them really adorable! i used to have a pug when i was living in malaysia. 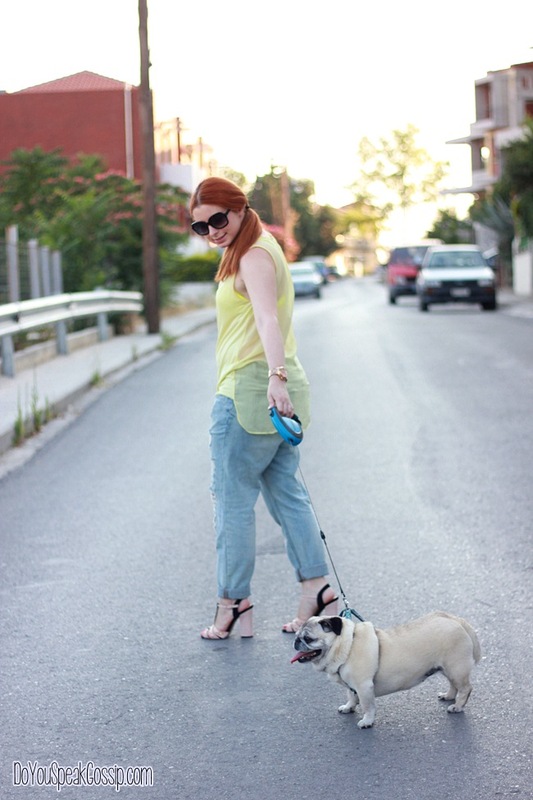 great casual outfit, definitely a stylish dog-walking outfit!! 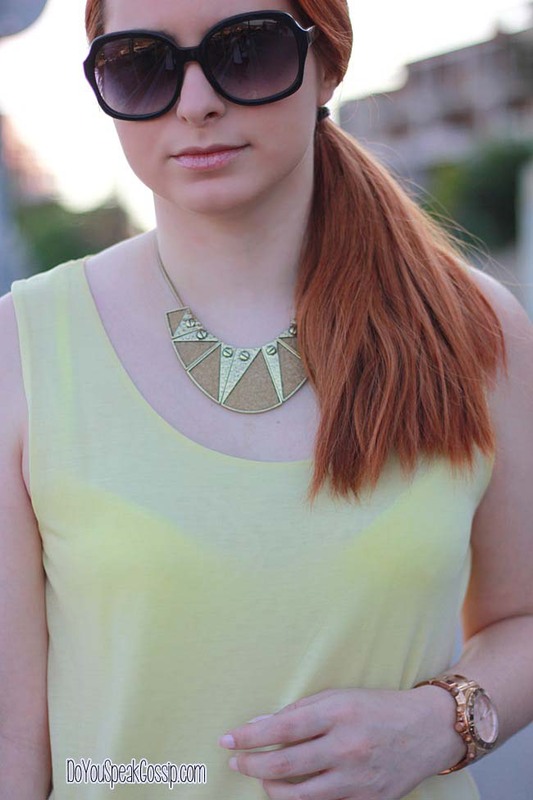 Pingback: Powder pink | Outfits | Do You Speak Gossip?